Science Based Cuisine: Is it made from real beaver? I have a burger buddy. 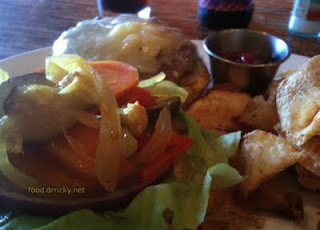 We go out periodically for a burger - part of my personal quest to get over my general apathy for the burger. 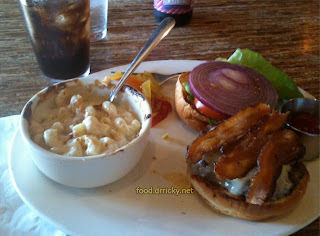 But we do have some great burgers in this city, and this week, we paid a visit to Beaver's for a Beaver burger. At $9, it's one of the pricier burgers we have sampled, and I was a little disappointed that it wasn't made from beaver meat (just kidding). What the burger itself was made of is a proprietary mixture of beef, brisket and bacon - the killer Bs. And it makes for a killer burger. Juicy, flavorful, unctuous and unabashedly sinful, the burger, bread and cheese make for a gigglingly good sandwich. The problem comes in from the haphazard selection of sides that come with it. The thickly cut slab of tomato was mealy, and the novelty pickles don't seem to fit in. My companion frowned in distaste over the pickled cauliflower, and asked why can't she have some regular cucumber pickles. The pickles were like annoying scene stealers trying to distract from the good stuff. Moreover, there seems to be some kind of opposition to fries. You can get chips - not in the British sense - American style potato chips which were oddly tasteless. Fortunately, you can swap them out for a serving of macaroni and cheese, and we recommend that highly. It's a very good casserole. But through in slabs of bacon on a bacon suffused patty, and we learned to forgive the misdirections, and ordered the Beaver balls. Again, not made from beaver (thank heavens). 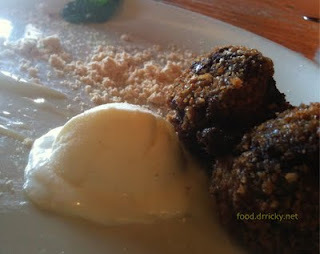 They are deep fried crusted brownie balls. Served with some very good vanilla ice cream, and some powdered peanut butter (that my dining companion literally snorted...it's dangerous stuff). The dessert is definitely indulgent, and my main complaint is that there wasn't enough of the ice cream. And my companion wanted more peanut butter.